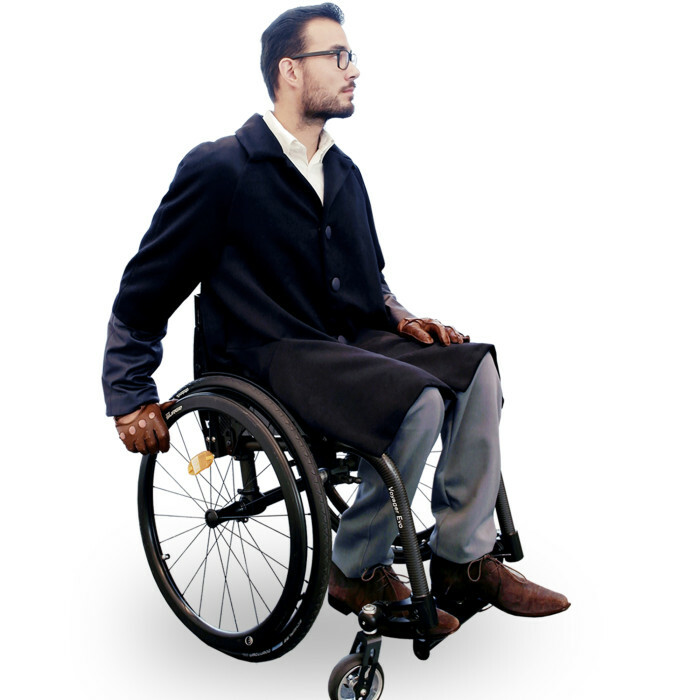 You wouldn’t guess that this coat Roger is an adaptive garment, unless you discovered its clever features first. The sophisticated cut ensures that the front coat panels won’t fall to the sides. 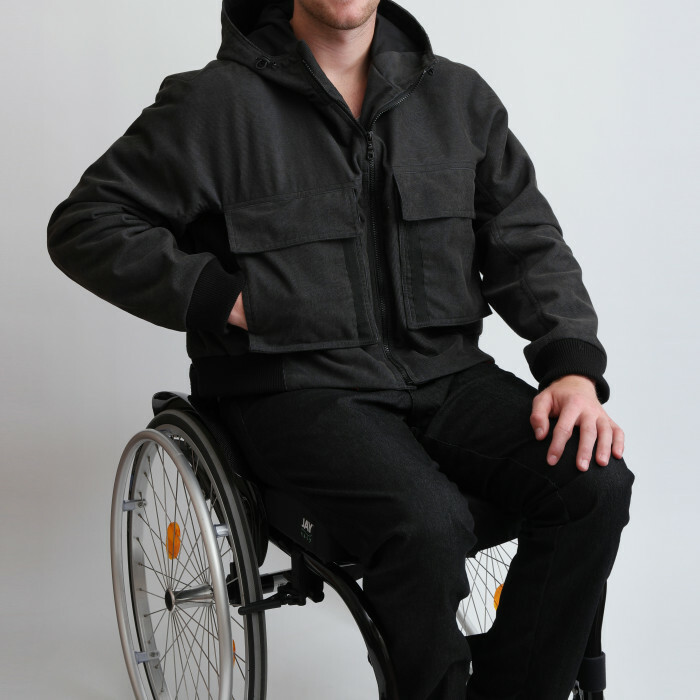 The back is short to avoid all inconveniences of having to sit on it. 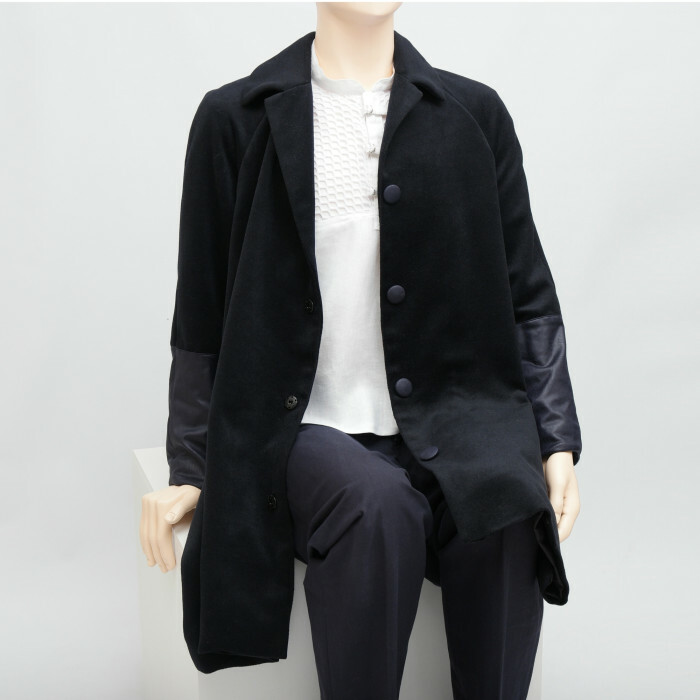 Moreover, there’s a back pleat for extra room to move and the imitation leather sleeve-ends are easy to wipe clean. Our sizes differ from the shop sizes you're used to. Model wears size 50 here. Select your size below. 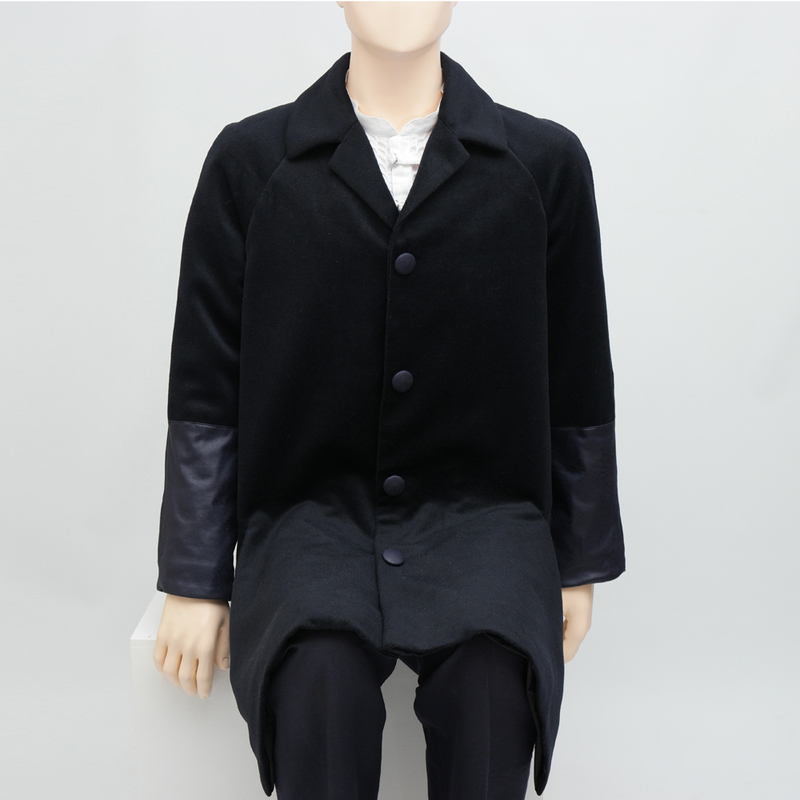 This coat Roger is made of a black woolen-polyester blend coat fabric (70%wol,30%PE), with imitation leather lower sleeves. 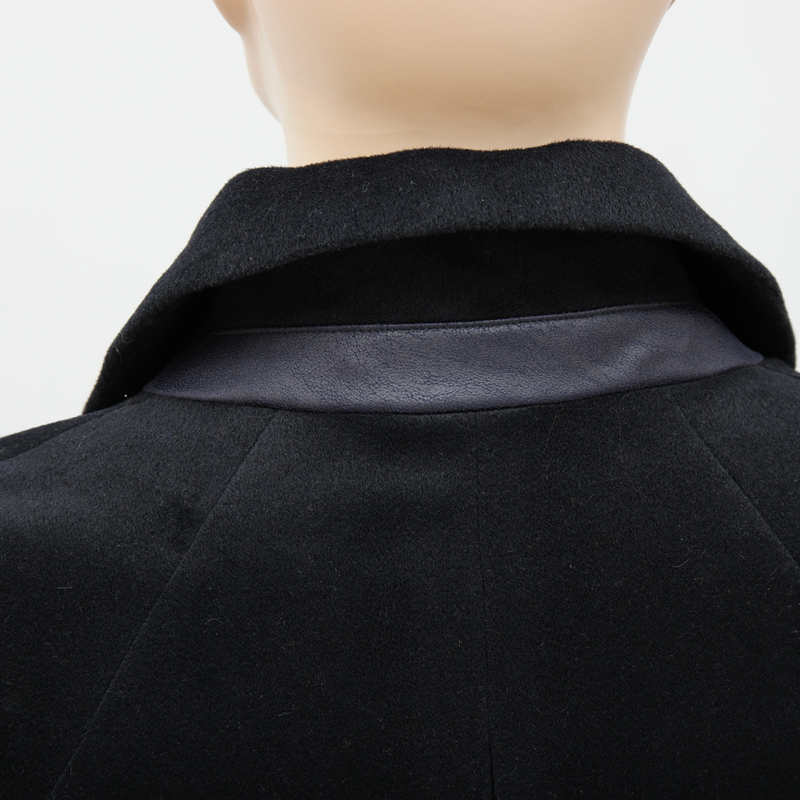 The collar stand and ornamental buttons are also in imitation leather. The coat fastens with press studs. 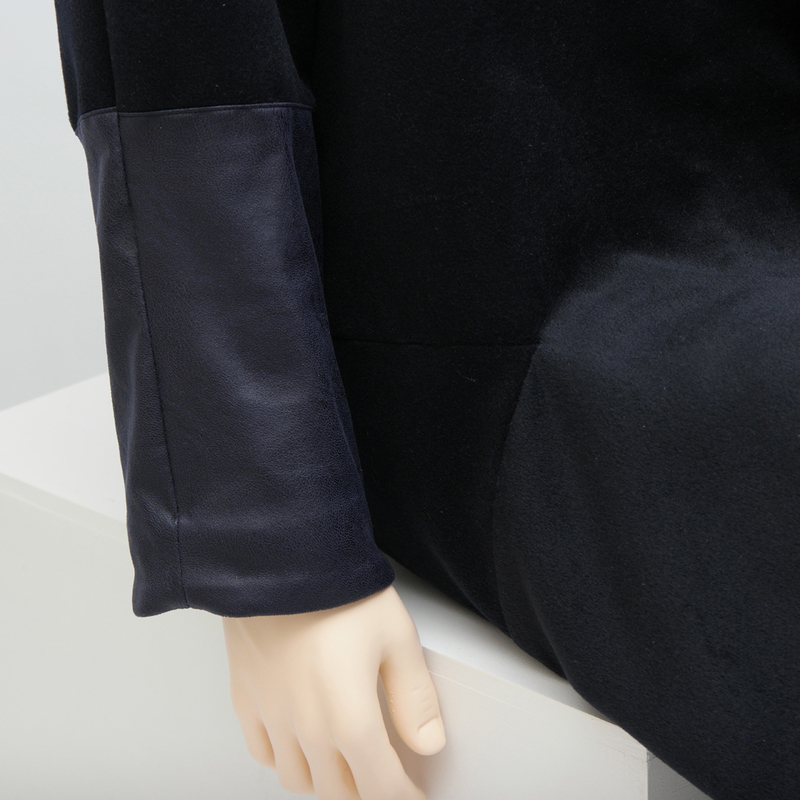 The front is knee-long, while the back falls just on the chair, leaving no fabric that would have to be sat on. 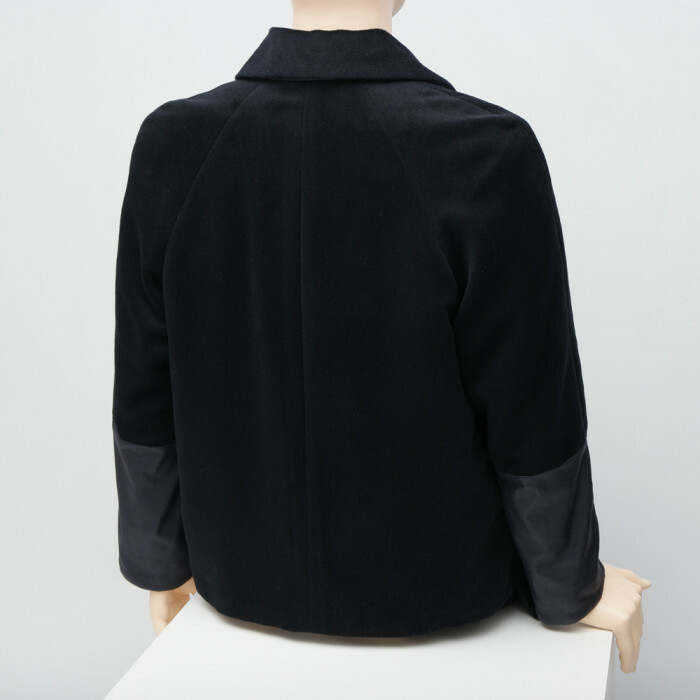 The back features a pleat for extra movement. 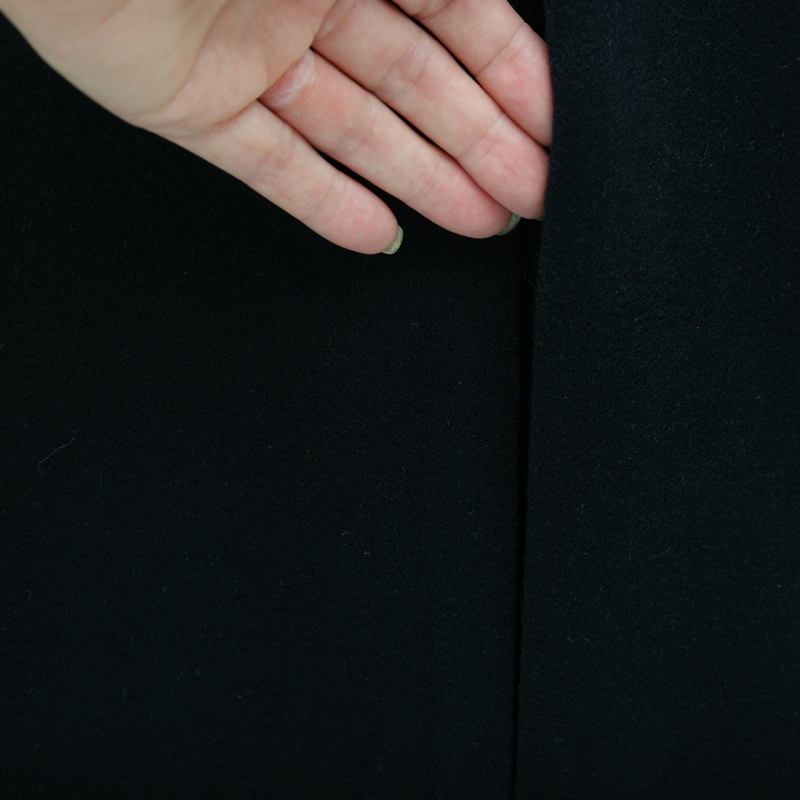 The coat is lined with a smooth lining (100%PE), which eases putting it on and taking it off. Cleaning : Dry cleaning only.